Meghan and Lance might just be the definition of a couple eloping. 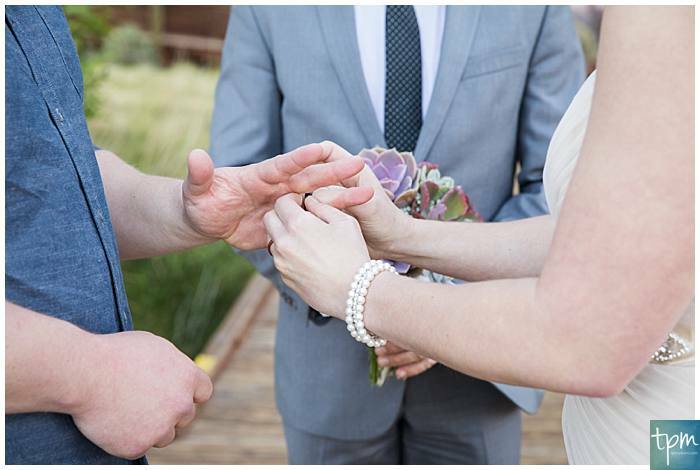 The couple didn’t even have a formal engagement before deciding to declare their eternal love for each other! 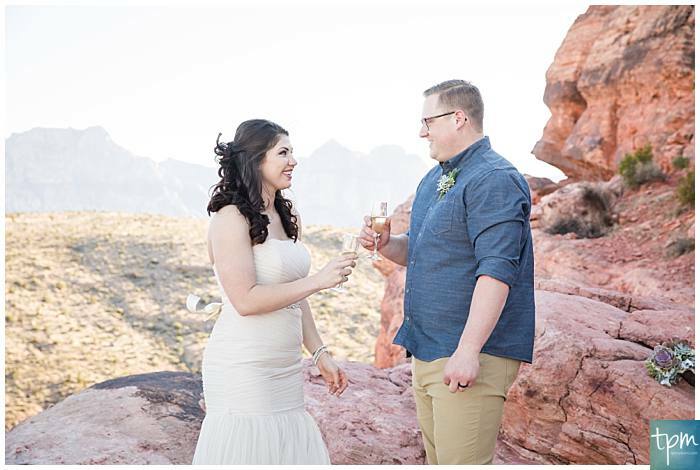 “I came home from work a couple weeks prior to our trip to Vegas, and asked Lance what he thought about eloping. He was game, and the rest is history!” says Meghan. This adorable couple met in high school but it took them until college to start officially dating. 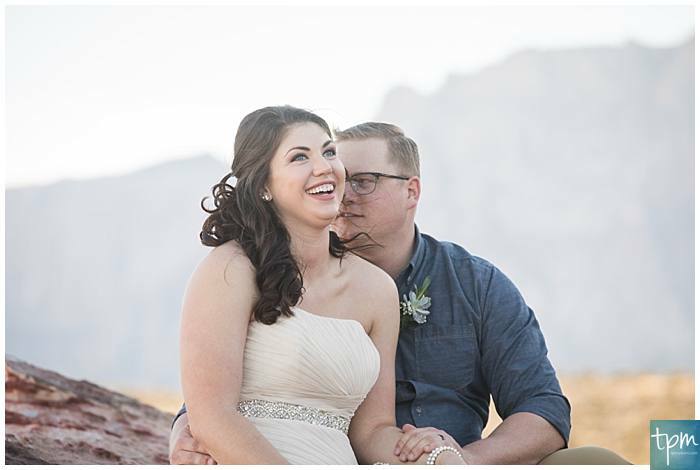 After dating for a year Meghan moved away for nursing school so this wedding bliss almost didn’t happen. However fate stepped in and after staying in touch for some time Lance moved to Wisconsin and they have been together ever since. Meghan’s mom knew from the moment they met that they would wind up together though. “When we told my parents we got married my mom said, ‘I told you when you were 16 you were going to marry him’” says Meghan. Apparently parents really do know best! 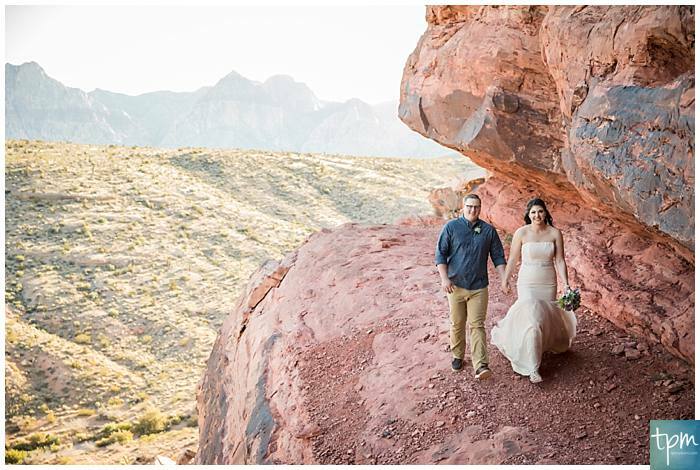 Neither Meghan nor Lance wanted a big wedding so when they saw Cactus Collective’s photos and packages online they knew right away that was the perfect match for them. 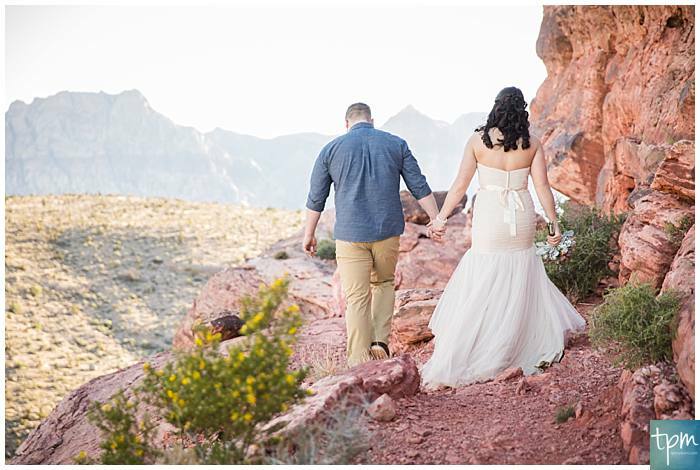 They both love hiking, camping, backing etc so they loved enjoying the scenery while walking the trails of Red Rock Canyon and taking pictures. 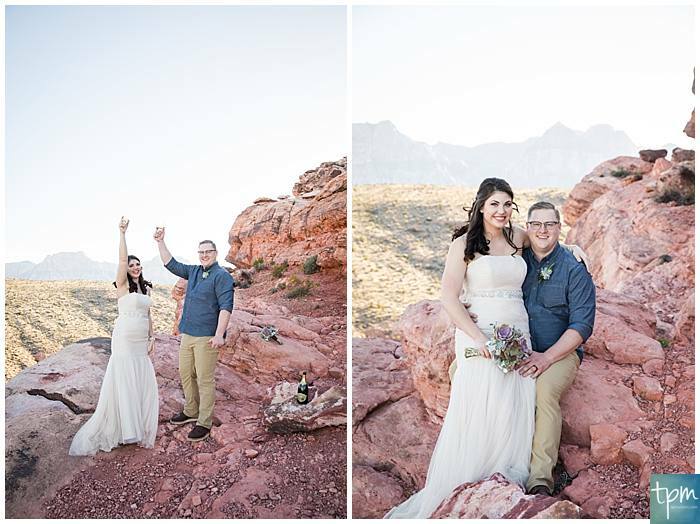 The couple took another non-traditional route by seeing each other before the ceremony. After a few friends unfortunately couldn’t make it, Lance stepped in and helped Meghan get ready for their big day, making for some special memories for the both of them! 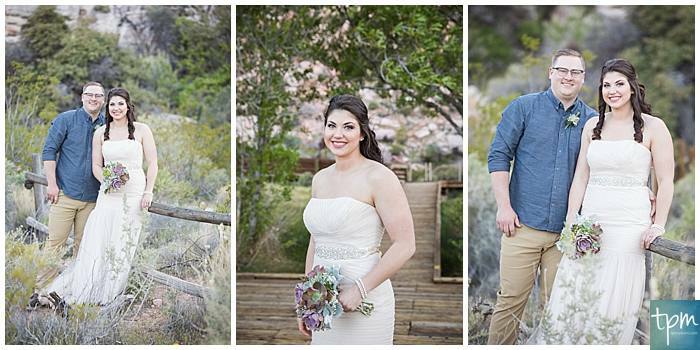 The couple credits Kelly from Smooth Brides for being very patient and really making the whole day effortless. Lance also loved Roland, their officiant. 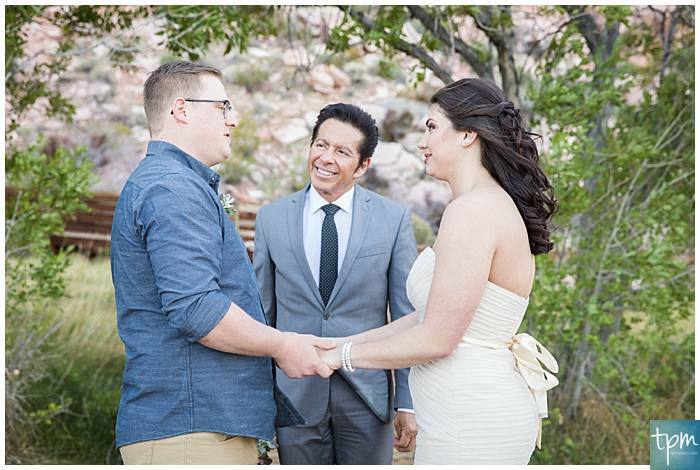 “It was amazing how personalized he made our ceremony with only knowing us a few minutes prior. His energy is contagious!” said Lance. Meghan and Lance agree that the best advice they can give to couples looking to get hitched is to make the day about you and not worry about what everyone else thinks. When their family saw sneak peek photos of their wedding day they all agreed it was exactly what they had pictured for them. With so many options these days you really can create the day you’ve always dreamed of. Meghan said “Every time my mind drifts to our big day I just simply smile, and that’s how it should be!” We couldn’t agree more!